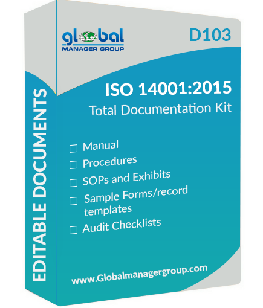 The popular website for readymade documentation solution, Globalmanagergroup.com has announced that the online sell of its one of the most demanded product EQHSMS Documentation – 2015 has been crossed over 50 copies in very short period of just 3 months. GMG has introduced this product in September 2015, which is based on Integrated Management System consist of ISO 9001:2015, ISO 14001:2015 and OHSAS 18001:2007 requirements. The sales team has admitted that more than 1000 users has downloaded free online DEMO of EQHSMS Documentation Package at website www.globalmanagergroup.com, which has guided them to understand the actual requirements and made them to take purchase decision faster to upgrade their existing systems as per revised ISO systems. As company was assured about sell of all new products would be increase in this quarter, they didn’t surprise with that it crossed more than 50 copies of readymade EQHSMS documentation package. Mr. Devang Jhaveri, owner of Global Manager Group, has thanked every users, who were believing in GMG’s ability to provide effective ready to use documentation templates and have been purchased EQHSMS total Documentation Package – 2015. He has added that they continuously received very positive feedback on this product from all over the world, which has purchased product or downloaded free demo. The reputed team of ISO consultants having rich experience in environment, quality and OHS management system were involved in preparing this documentation kit on integrated management system and made this document package possible to sell online to their global customers within minimum time of release of standard. 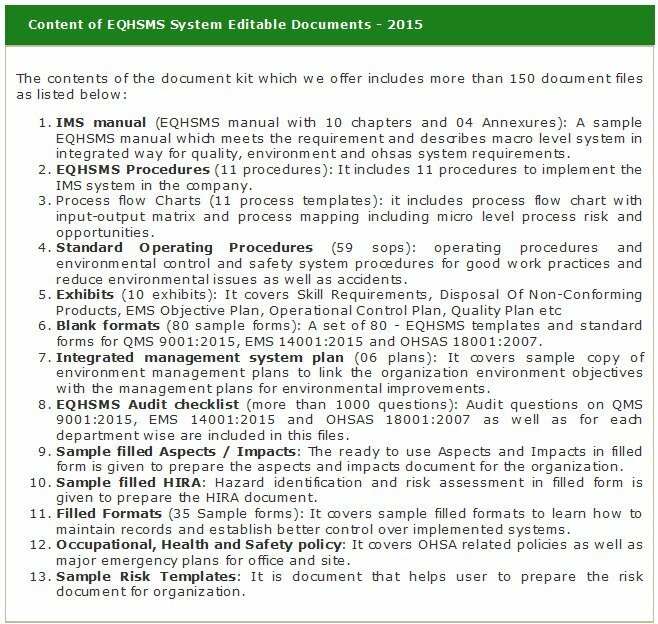 The Online sell of EQHSMS Package, which covers sample copy of Quality, environment and safety IMS Manual and IMS certification procedures as well as SOPs, Exhibits, blank and filled forms, environmental policy, EMS plan, quality work instruction, and more than 1000 audit checklist etc., which are key highlight of the product. The EQHSMS Documentation kit was placed for online sell to their wide range of global customers at very competitive rate of just 450 USD. The online purchase of the product can benefits their customers by providing them all rights of editing and reusing of documents for organization or work place as per requirements which saves a lot of their time and accelerates overall all documentation process, which made it very popular like GMG’s other documentation packages.